I think when you have your first child you are so keen as a parent you tend to rush through the different stages (well, I did anyway! ).I suppose it's natural to urge on walking, talking, eating, growing... Maybe it makes you feel like you've really got this parenting thing right?! Those first few months seem to go the quickest and before you know it they're not a newborn anymore but a wriggling toddler desperate to make their escape! 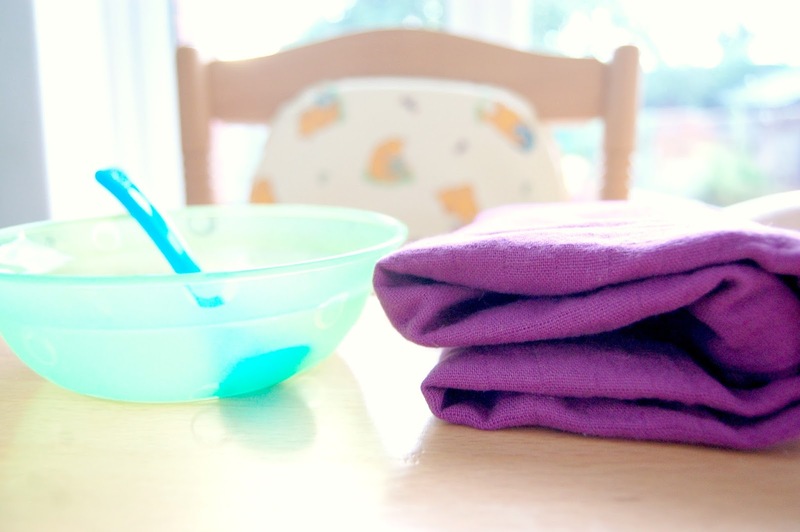 I've enjoyed every minute of keeping Little E close, being the one he needs for food, so naturally I wasn't rushing to get started on weaning. I didn't put it off by any means, just waited to see a few more definite prompts that he was ready than my first attempt, and by six months he was really starting to show a genuine interest in more than just milk. I think it's built in to babies to seek other nourishment when they need it but in part that they want to join in with what they see everyone else around them doing; And although I would of happily plodded on for a few more weeks with just breastfeeding, being stared at with such intensity while you're eating a sandwich gets quite off putting after a while...! 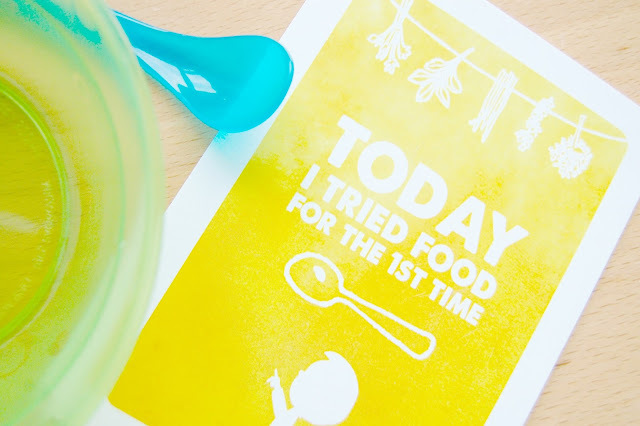 I do really love the weaning stage, especially getting ideas and letting them try new things. I started him off with basic baby rice and then moved on to pureed fruit and vegetables. 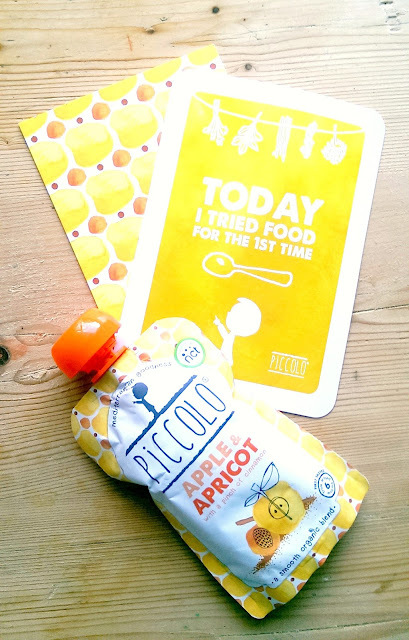 I was so excited a few months ago when I received a box from new baby food company My Little Piccolo. I also like to be able to introduce some different flavours and get new ideas about what they like. Apart from the lovely fresh and bright packaging, there's a great choice of recipes, even at stage one. I loved how there were little pinches of cinnamon, basil and vanilla added which also sets them apart from other baby purees which tend to be quite simple. The Piccolo range is inspired by the Mediterranean diet which its founder,Cat,was raised on and it's certainly full of goodness, being based on whole grains, fish, vegetables, fruits and good oils. 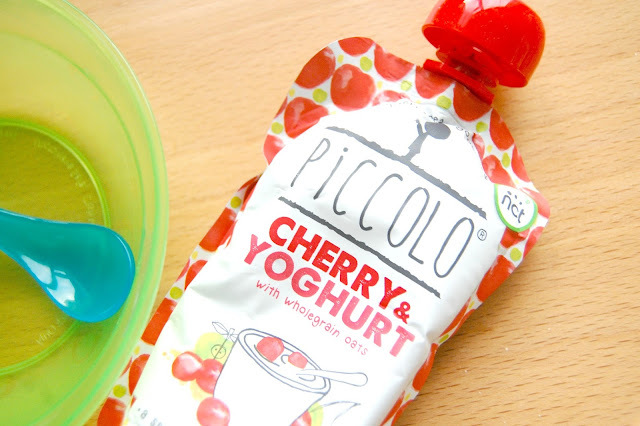 Piccolo are all about natural ingredients and enabling parents to nourish their little ones with wholesome foods whilst enabling them to explore new tastes. Lovely! Although he is four he still loves squeezy pouches and he liked these that much I had to hide them as he kept sneaking them out (notice how there are no purple blueberry pouches in any of these pictures)! Initially he favoured the sweeter ones but I found that just re-introducing the more savoury vegetable pouches over time changed his mind as he got used to the different flavours. 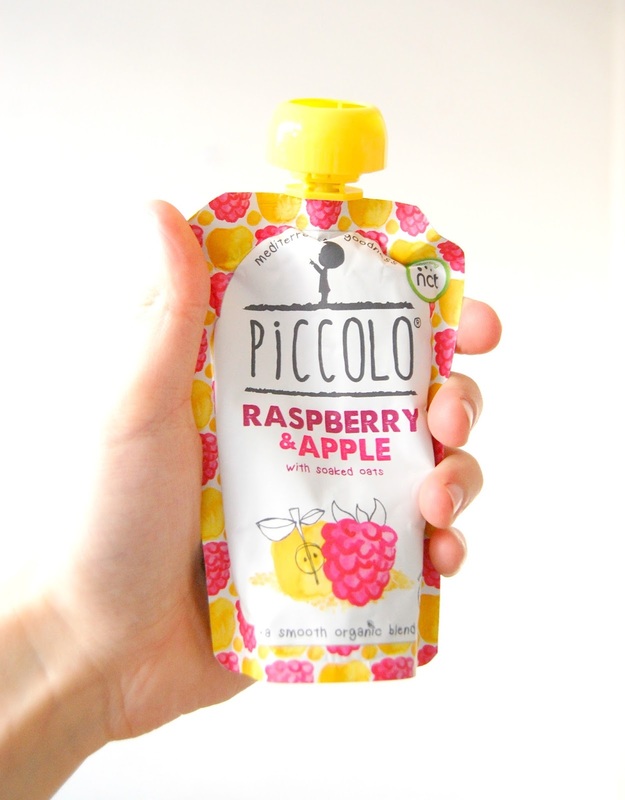 What I really love about the Piccolo range is the variety of combinations and the use of ingredients which set them apart from other pouches. The little pinches of cinnamon, mint or vanilla are a great way to expand little taste-buds and make them more open to trying new flavours;some have added wholegrain oats and yogurt; all organic, all good! It's very easy as a blogger to gush about products that you are sent, but we really do love the Piccolo pouches, they're fresh, different, have been developed with a lot of heart and they also donate 10% of their profits to the NCT, a charity which supports parents. 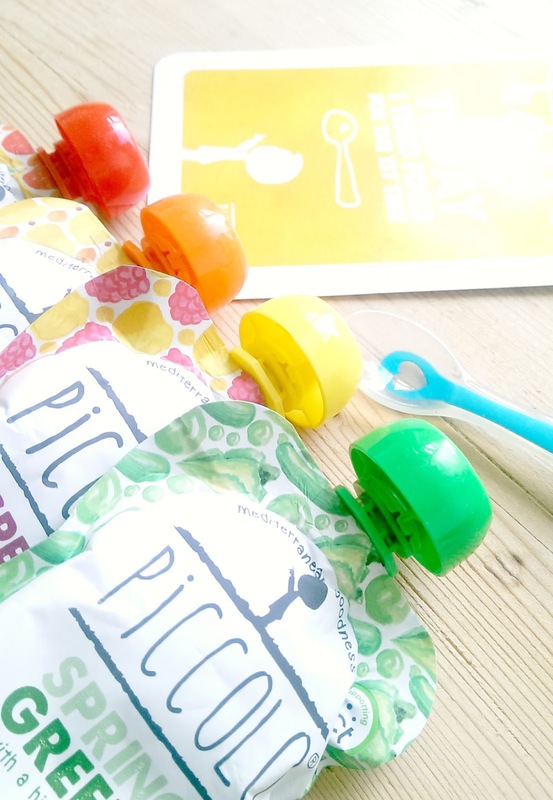 I'm so glad that we've been able make these little pouches of goodness part of our weaning journey; we'll be staying on our Piccolo adventure for quite some time and sharing our thoughts along the way! 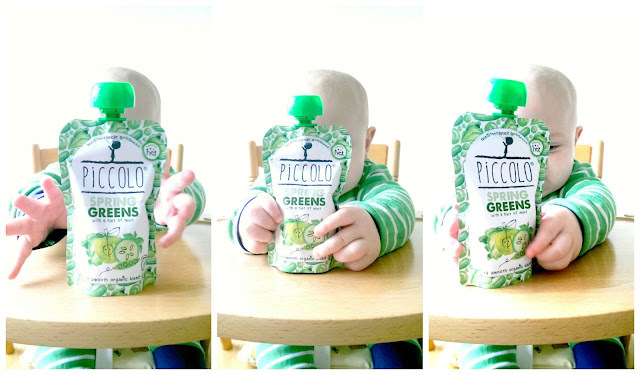 N.B Piccolo very kindly sent us a box of their stage one pouches to try with our little ones however all opinions are entirely our own.